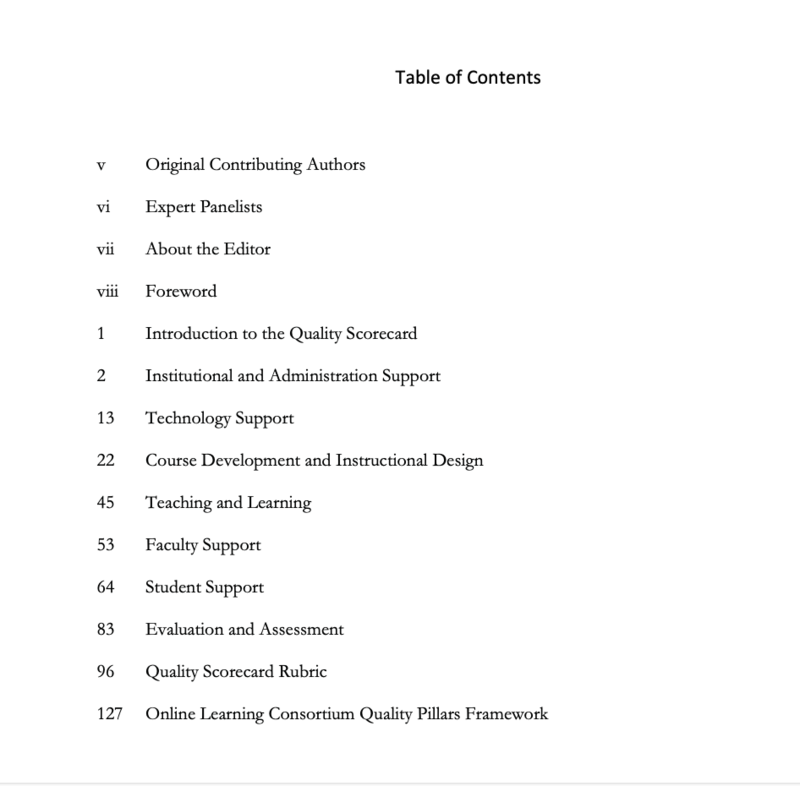 Quality in online education can be an elusive and complex concept. Nevertheless, educators must continue the quest to describe the ideal learning environment and share effective practices for advancing quality. 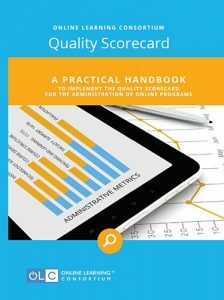 In this guide for online program administrators who want to apply the OLC Quality Scorecard metrics to their own online programs, the writers explain the indicators and make recommendations for implementing them. Thanks to the 43 seasoned online administrators who participated in the Delphi panel that led to the Scorecard and to those who also wrote this guide. Their work and generosity testifies to the need for this collaborative effort to advance the field. OLC is dedicated to improving the quality, scale and breadth of education through online and blended teaching and learning.